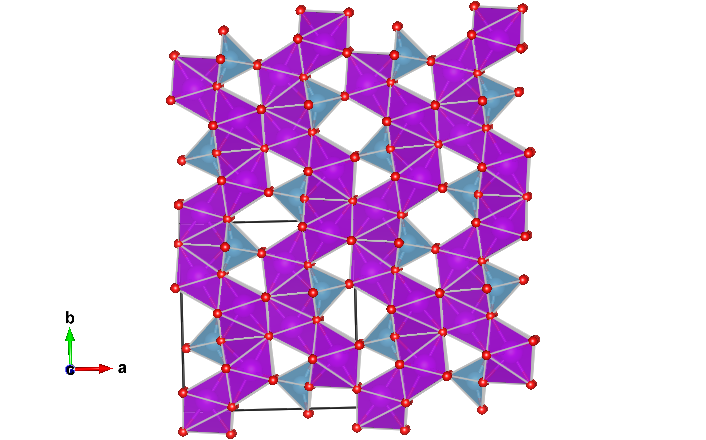 The Lanthanum Barium Copper Oxide crystal structure, the large green atoms are the mixture of Lanthanum and Barium atoms, with the blue atoms representing copper and the red atoms oxygen. The copper and oxygen form copper oxide layers (highlighted by the pink sheets) which are critical to the strange properties of this material. While the idea of superconductivity has been around since early last century, the search for a superconducting material that can operate at high temperatures (the so called “High Tc superconductor”) has really only been considered since the 1980s. 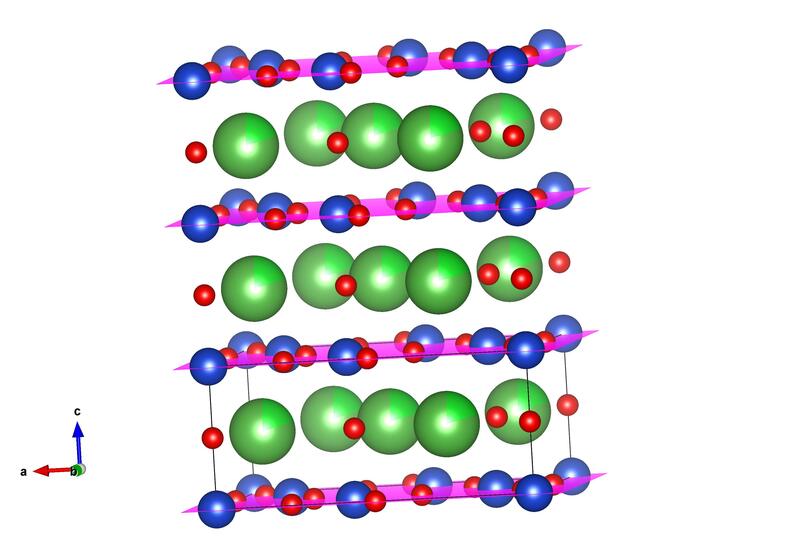 This field of research has taken off exponentially since the discovery of the first transition metal oxide, High Tc superconductor, Lanthanum Barium Copper Oxide (La5-x Bax Cu5 O5(3-y), or simply LBCO). The obvious benefits of room temperature (or higher) superconductors, which conduct electricity without resistance, may include lossless power generators, transformers and transmission lines, powerful supercomputers, and even superfast magnetically levitated trains. Needless to say, the discovery of room temperature superconductors would revolutionise the way we use and generate power. J. Georg Bednorz and K. Alexander Mueller, who were working in the IBM lab at the time, were researching high temperature superconductivity in ceramics when they came across LBCO in 1986. They were able to show that the superconducting transition temperature in this material was 35K – at least 12K higher than the previous superconducting material. This discovery led to the two scientists sharing the Nobel Prize in Physics in 1987 “for their important break-through in the discovery of superconductivity in ceramic materials”. Since this discovery there has been a strong race to understand the mechanisms of superconductivity in Cu-O materials, in particular how magnetism influences its behaviour. The crystal structure displayed here was first reported in Materials Research Bulletin 1985 20 pp667-71. Certainly this material is not that typical material that you will find in your daily life (except some special people). Why is it so? This is because Gd2TiO5 finds its application as a burnable poison and neutron absorbing material in nuclear reactors. So, unless you are a special person that works in a nuclear reactor, you will not encounter this material on a daily basis. Gd2TiO5 is used in nuclear reactors as it has good initial neutron absorption capability and irradiation resistance. It plays a role as an additional safety margin, which controls excessive reactivity in the reactor. Recently, researchers have been trying to use Gd2TiO5 for other applications such as memory devices, dielectric sensors, and for my own research, an anode material for sodium-ion batteries. Gd2TiO5 adopts an orthorhombic structure with lots of possible sites that can accommodate the insertions of ions. More importantly, Gd2TiO5seems to be very stable and does not undergo significant volume change during ion insertion. The structure of Gd2TiO5 is found on the Inorganic Crystal Structure Database (ICSD) # 262620. Today is the birthday of one of the pioneers of crystallography, Kathleen Lonsdale (1903 to 1971). Born in Ireland, she studied under WH Bragg at the Royal Institution and determined a number of fundamental structures – including the first determination of a molecular structure, hexamethylbenzene. 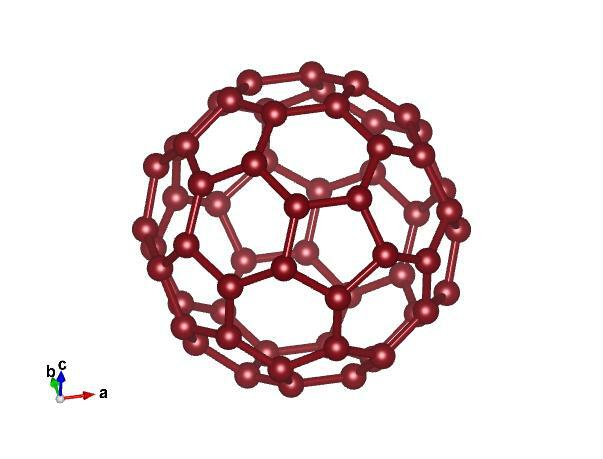 She was also very interested in the forms different form carbon and how diamonds could be synthesised, writing this review of the topic in Nature. As a result, Lonsdaleite, which is another form of carbon discovered in 1967, was named after her. Otherwise known as hexagonal diamond, Lonsdaleite, is very rare an only found naturally in meteorites. 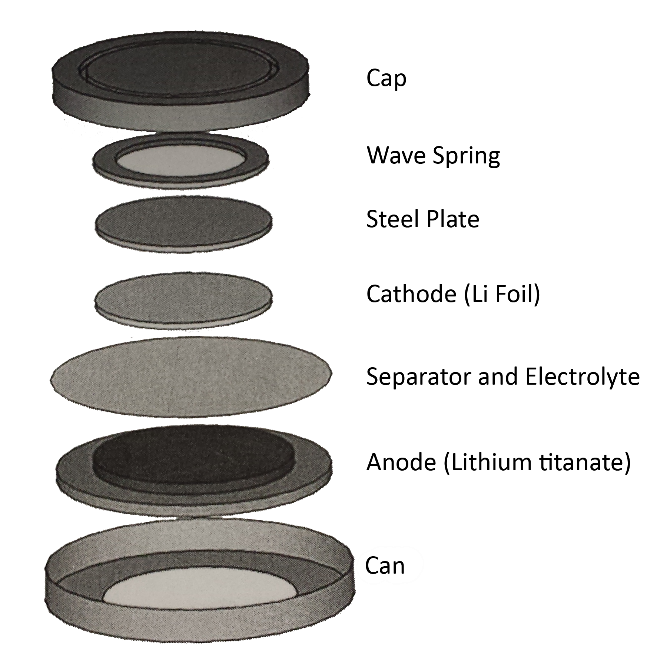 It can be made in the laboratory, but only by subjecting carbon (in the form of graphite) to extreme high temperatures, and shock pressures – often with explosives. There has been excitement that Lonsdaleite and a material that is structured (Wurtzite boron nitride) like it, could be tougher than the ‘normal’ diamond. But although both Lonsdaleite and Wurtzite boron nitride are found naturally and can be made in the lab – we still haven’t made enough of them to test if they are stronger than diamond. A challenge for future scientists? 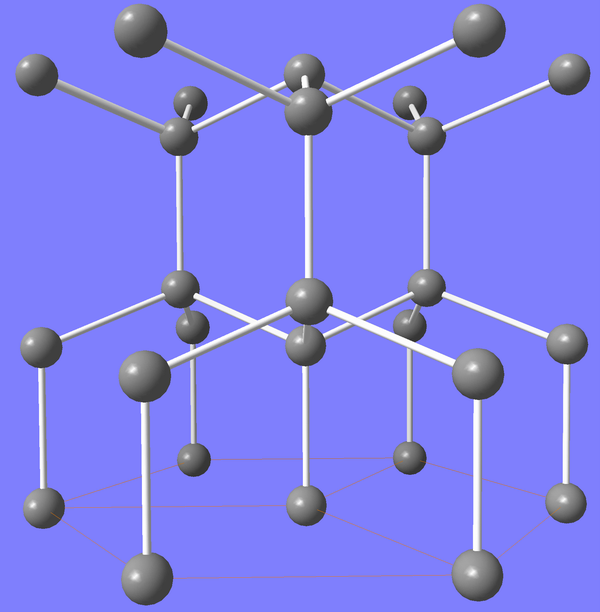 The structure of Lonsdaleite was first reported by Bundy and Kasper in 1967, its structure is available on the American Mineralogical Database. Swine flu, bird flu, and ‘man’ flu. They are all caused by the Influenza virus. The flu virus is continually changing. What we do know is that there are two molecules, hemagglutinin and neuraminidase, that sit on the surface of the virus and are critical for infection. Hemagglutinin is responsible for binding to the cells in our body, so that the virus can then inject its viral genome into our cells. Neuraminidase helps to disengage the virus from our cells. 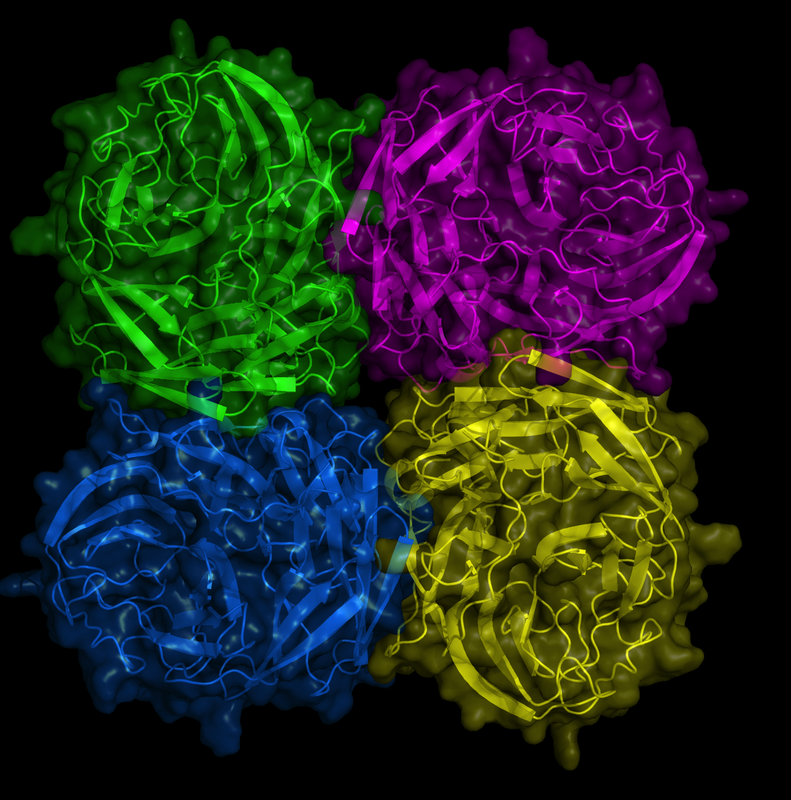 The enzyme clips off the chains that anchor the virus to the cell. By blocking the action of neuraminidase, we can stop viral release and spread, and so it has been an important target for drugs targeting the flu. Neuraminidase (pdb code 1nn2: http://www.rcsb.org/pdb/explore.do?structureId=1nn2) is composed of four identical sub-units (green, yellow, pink and blue) packed in a square formation. The enzyme is attached to the surface of the flu virus via a stalk (which is not shown in this picture). Neuraminidase binds to polysaccharide chains and clips off the sugars at the end of these chains, releasing the flu virus from our cells. The structure of influenza virus A/Tokyo/3/67 neuraminidase was solved in 1991 by two Australian scientists (Peter Malcolm Colman and Joseph Varghese) (http://www.ncbi.nlm.nih.gov/pubmed/1920428). Since then, many other varieties of flu neuraminidase have been solved, including the swine flu neuraminidase. In 1989, scientists at the CSIRO (led by Peter Malcolm Colman and Joseph Varghese) in collaboration with the Victorian College of Pharmacy, Monash University, and Glaxo in the UK, developed the first neuraminidase inhibitor, Zanamivir (marketed as Relenza). Its discovery relied heavily on the availability of the structure of influenza neuraminidase (shown above). Video by jrrustad on You Tube. It’s Australia day! So while we here are enjoying our BBQ’s on the beach we can introduce you to a mineral called Bruce – Brucite! Apart from the name, it’s not a particularly Australian mineral, the largest deposits of this mineral are found in China and Russia. Brucite is a layered structure of magnesium hydroxide. The magnesium atoms in the video are yellow, and are surrounded by six oxygen atoms (which are red). Each of these oxygen atoms has one hydrogen atom (pink) attached to it, which makes the overall formula of the structure Mg(OH)2. Brucite is used in a number of industries, but most notably it is often used as a fire retardant. This is because when it is heated it breaks down and releases water. This crystal structure of brucite was first determined by G Aminoff in 1921, it can be found in the American mineralogical database.